Beatriz Milhazes and editor Jan Dalley. TASCHEN Miami hosts Beatriz Milhazes fans. A happy fan. Milhazes personalizes a copy of her Collector’s Edition. A proud artist and editor. Available as both a Collector’s Edition (No. 101–1,000) and an Art Edition (No. 1–100). 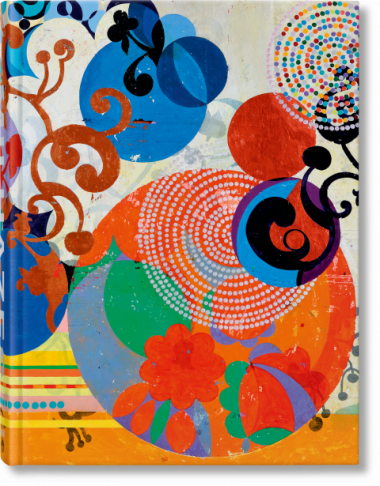 On the evening of Wednesday, December 6, TASCHEN Miami welcomed the world-renowned Beatriz Milhazes to celebrate the launch of her widely anticipated Collector’s Edition. In partnership with the Financial Times, FT arts editor Jan Dalley hosted a Q&A with the artist. Milhazes took the time to share anecdotes from her career and thrilled the crowd by personalizing copies of her book. To the melodious sounds of bossa nova musician Cezar Santana, wine flowed and mouth-watering brigadeiros were sampled—for one night, it seemed our Miami store and its visitors were transported to Rio de Janeiro, Beatriz’s hometown. The event came as a second stop in Milhazes’s presentation of her monograph. Spectacular in every detail, the Collector’s Edition documents all of the phases of the Brazilian artist’s work in their full splendor and meaning, complete with chapter breaks created by Milhazes specifically for this project, an insightful interview, an art-historical essay, and an artist biography—it is nothing short of a definitive exploration of her career.